Light-curable adhesives cure in seconds on exposure to longwave ultraviolet and/or visible light. They optimise assembly speed, increase product throughput and enable 100% in-line inspection. These worker-friendly adhesives form high-strength, environmentally resistant bonds. They are available for bonding plastics, metal, glass and a number of other substrates. They find many applications in electronics, medical device assembly, aerospace, opto-electronics, optics, automotive and electronic displays. 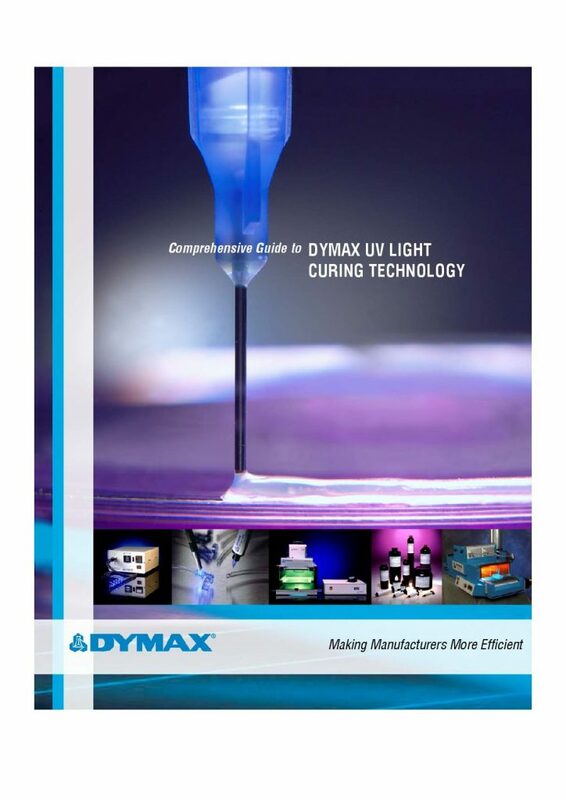 32 page guide to every aspect of light curing materials and equipment. 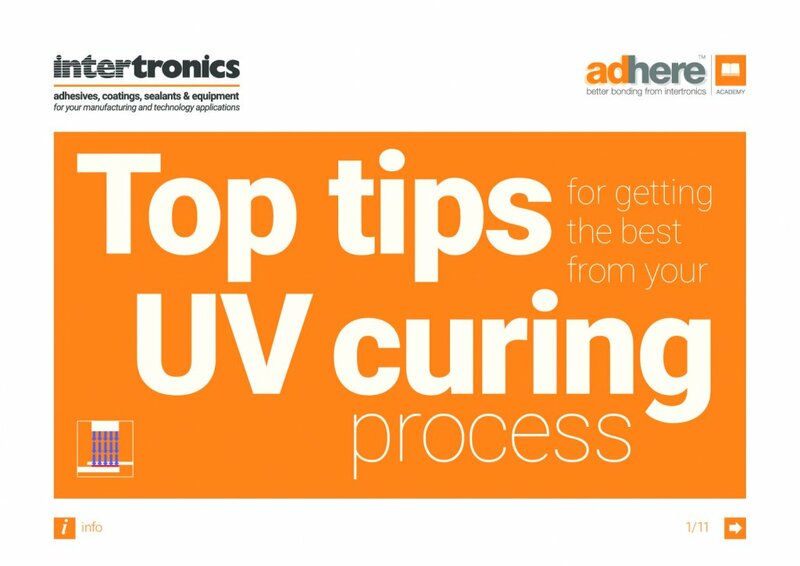 Our range of fast and ultra-fast cure Dymax LED UV light curing adhesives are for a variety of medical device, electronics, and many industrial assembly applications. They are specially formulated LED light-curable adhesives for use with LED UV curing lamps. Adhesive bonding for glass, metal, plastics, ceramic, etc. Dymax UV Curing Glass Bonding Adhesives form high strength, crystal clear, environmentally resistant bonds to glass as well as a variety of metal and plastic substrates. 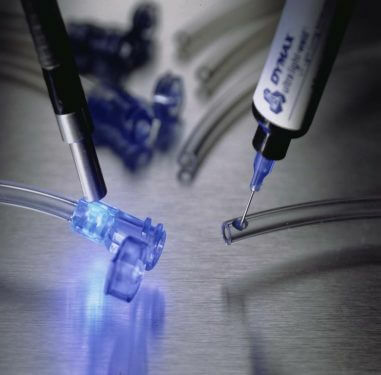 Dymax MD Medical Device Adhesives are light curing and fluorescing adhesives which significantly reduce your assembly processing costs. Dymax OP UV Curable Optical Assembly Adhesives allow precision bonding, mounting and fixturing – they are optically clear, high strength, low stress adhesives that cure in seconds upon exposure to UV and visible light. For optics, fibre optics, electro-optics and applications where fast cure, optical clarity and ultra low shrinkage are important. Dymax light-curable optical display bonding adhesives are specifically formulated for applications where durable, crystal-clear, invisible bonds are required. Their fast, on-demand cure allows substrates to be repositioned precisely until parts are ready to be cured. Dymax‘s patented See-Cure technology provides built-in visual cure validation that makes it easy for operators, or simple automated optical inspection systems, to confirm cure without the need for additional specialised equipment.